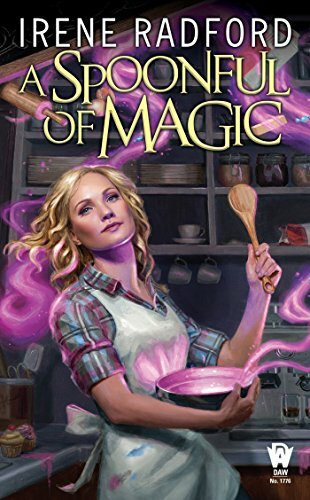 This week's Book Giveaway is Irene Radford's latest novel, A Spoonful of Magic. I haven't even opened it yet, but the cover art features a smorgasbord of all the stuff I need to get through what is turning out to be an extremely wet, blustery day: a plaid shirt, glitter, and the suggestion of potential baked goods. A full review will follow shortly.